The Bill to impose new multinational anti-avoidance measures has now been introduced into Parliament. The Bill extends its focus beyond the so-called "dirty thirty" targeted in the earlier press release to multinationals doing business in Australia with global turnover exceeding $1bn. About 1,000 groups in all. Australia has been criticised for going it alone, but the Government is frustrated that the momentum built during its G20 presidency in 2014 to address multinational tax avoidance appears to have been lost. Most mid-size businesses lack the infrastructure and budgets to create arrangements that legitimately sidestep international tax rules, so this measure may go some way to level the playing field. However, I am sceptical of seeing immediate success - these are anti-avoidance rules which, by nature, involve many grey areas. As such, making assessments stick will be a costly & time-consuming process. For this reason, it is critical that Australia "remains in the tent" so that the BEPS efforts through the OECD & the like can keep working on improving a culture that supports good tax governance. 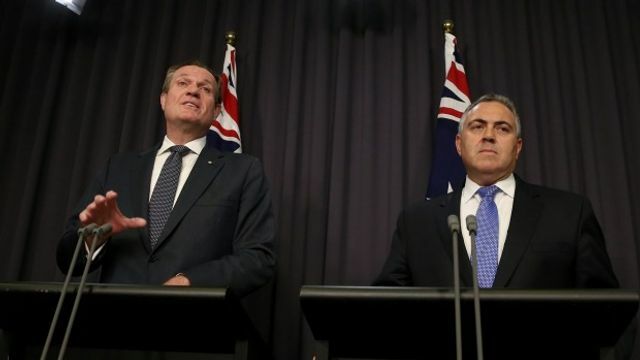 Australia should act both with the G20 and independently of the G20 to fight profit shifting. More money was earmarked for the Tax Office to combat trans-national tax dodgers (albeit in the wake of the ATO's severe budget cuts), there were the expected measures to capture GST on online purchases, and the scope of the crackdown on profit shifting has been expanded to 1000 companies. There is a lot more to do – and a lot more that could have been done already – particularly tax transparency measures.